- Let sound travel through your objects! 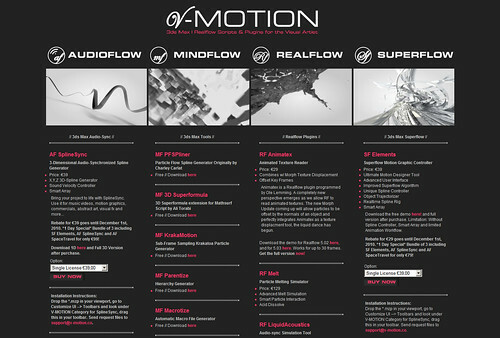 Create a new type of audio-visual experience! Try the 1D version for free! All updates up to version 2.0 are at no extra charge! Download after purchase! Hardware licensed activation. Installation Instructions: Drop the *.mzp in your viewport, go to Customize UI –> Toolbars and look under V-MOTION Category for SplineSync, drag this in your toolbar. Send request files to [email protected]. Put .lic files in V-MOTION folder and start syncing! See Tutorial for further instructions. Submitted by atanguay on Tue, 2016-12-13 20:27. Any way to get this?! I need something EXACTLY like this. Submitted by rezoloot on Fri, 2014-07-25 19:12. Submitted by mamta.cg on Fri, 2012-07-20 02:25.
i drop *.mzp to viewport. but it doesn't show anything in custom ui. can any1 tell me why is this not happening? Submitted by AstrovonTogh on Tue, 2011-09-13 12:40. Syntax Error in 3ds Max 2008 32 Bit Demo Version solved ? 1. Has this been really solved ? 2. I got 3DS Max 8.0 commercial, does it run there too? Submitted by W DIGITAL on Mon, 2011-05-30 09:29. Submitted by Ezhikus on Sun, 2011-02-20 20:15.
it gives me errors when i try to use 1D. i am afraid i will get the same error with 3d! Please, help! Submitted by Ezhikus on Sun, 2011-02-20 19:45.
for some reason I have trouble with dropping *.mzp to my viewport....Did anyone have the same issue? Please, help!!!!!! Submitted by asymptote on Sun, 2011-02-20 19:09. Just tested the demo on Max 2010 32 bit, I follow the tutorial but when I hit closed spline sync, a splne is created but not animated. Submitted by umerzafar on Sat, 2010-12-18 04:29. Syntax Error in 3ds Max 2008 32 bit. Submitted by W DIGITAL on Mon, 2010-11-29 23:14. 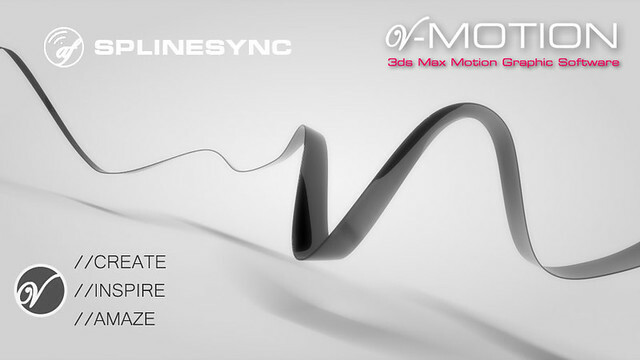 AF SplineSync 3D has just been updated to v1.2 - now with a new UI, SmartArray and a button to close the splines! Don't hesitate to contact us - [email protected] - for any questions. Enjoy the new update!